Debt is like an infection—the longer you put off taking action against it, the larger it grows and the worse the situation becomes. Unfortunately, you can’t just apply an ointment or take a pill to get rid of debt. The only way to get rid of debt is to spend less than you earn. Even though debt has become a part of our culture and everyone seems to be in debt, securing your financial future or getting ahead by borrowing money and paying interest is impossible. The average household pays 14.5% of its budget to debt obligations. Among families with debt of any kind, including mortgages, other loans, and credit cards, the median amount of debt is $55,300. Debt is not just a problem for people earning average or below average incomes. Households with large incomes create debt problems for themselves by buying a lifestyle they can’t afford. As the paycheck increases, ways to spend also increase. Some people live in a big house but cross their fingers to make their monthly payments. Unfortunately, credit cards make it easier to give into instant gratification and buy more “wants” than we actually need. With a credit card, you do not feel or see the money leave your bank account when making a purchase, and before you know it, you are in debt. If you only pay the minimum balance, years from now you will still be paying for purchases that have been long forgotten. If you have credit card debt, you are not alone. According to the Federal Reserve, 46.2% of all families now carry a credit card balance. The mean credit card balance is $5,100 and the median balance is $2,200. The average household with a 14.9% interest rate on a $5,100 balance pays $760 per year in interest payments. The following are suggestions for getting out of debt. Confront your financial problems. Too many people deny that debt exists. They purposely do not open letters from creditors, thinking that such action will ease the pain. However, denial only leads to more debt. The only way to start climbing out of debt is to admit the problem and start tackling it. If you have debt, realize that it took time to get into debt, and it will probably take you longer to get out of debt. Do not get discouraged, no matter how little you are able to pay off each month or how long it takes you to becoming debt-free. Being debt-free is worth the effort. Get a clear picture of your debt. Simply paying the minimum balance on each bill without knowing exactly how much you owe is easy. To get a clear picture of your debt, collect all of your bills with outstanding debts, including all credit cards, mortgages, student loans, auto loans, personal loans, and bank loans. Create a summary sheet that lists the creditor, monthly payment, balance, interest rate, and credit limit for each. List the status of each account, whether any bills are past due, and verify the payment due dates. Prioritize the bills to pay first. If money is tight and you have to make choices about what to pay, first pay the bills that are a necessity for health, shelter, basic groceries, and basic transportation. Then pay the secured loans, such as your car loan. Since credit cards are unsecured, pay them last. Contact your creditors to negotiate lower rates. The less money you pay in interest, the more money you have to pay off your bills. Start with your lenders and ask for a lower rate. If that doesn’t work, shop around for a mortgage or credit card with a lower rate. If you are in danger of missing a payment, contact your creditors as soon as you realize you have a problem. They may be able to help you work out a payment plan, lower your rate, or lower your monthly payment. It is better business for them if you keep making your interest payments and avoid bankruptcy and foreclosure. If the first person you speak with can’t lower your rate or make adjustments to your account, ask to speak with a supervisor or someone who can. You may need to be persistent in finding the person who can or will help you. Explain that you are in debt, the steps you are taking to repay your obligations, and what you can pay today. Document all conversations, including whom you spoke with, the date and time, and the results. If you are struggling to make a payment, contact your creditor to work out a payment plan. If you have a high interest rate, transfer your balance to a card with a lower interest rate. If your rate is above 12%, transfer the balance for that card to one that offers 0% for 12 months for balance transfers. Getting 0% for 12 months is a great opportunity to pay down your balance. To take full advantage of this 0% interest, pay as much as you can over the monthly minimum. You must be diligent about making your payments on time. A late payment may immediately increase your rate to the default rate. 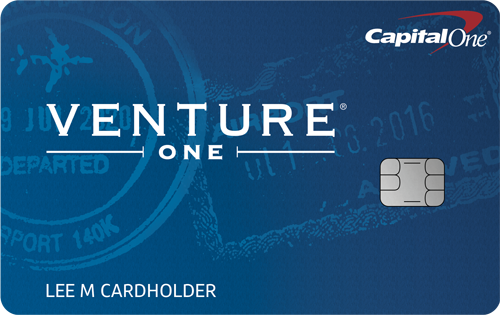 Most cards charge a balance transfer fee of 3%; pick one that has a cap on the balance transfer fee. The amount you save on interest payments should more than offset the fee. Since the purchase APR may be higher, do not even put the card in your wallet; simply use it to pay off your balance. Continue to pay the minimum on your other cards until you have paid off the one with the highest rate, and then focus your effort on the card next in line. 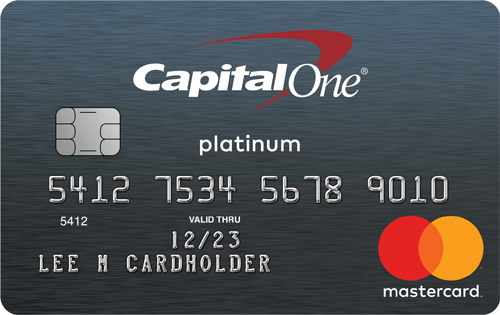 If you have a card with a lower rate that is almost at its credit limit, you may want to start with this card. Reducing your debt/credit limit ratio helps your credit score. Get your balance down to 30% of your credit limit, and then focus on other cards that have balances close to their limits. If you have balances on multiple cards, focus on the debt with the highest rate. Pay it off, then move on to the debt with the next highest rate. Pay as much as you can over the minimum. If you have a credit card balance, stop using it for anything other than necessities. Use cash instead. Credit cards are convenient, but if you carry a balance, you are still paying interest for dinners, clothing, entertainment, and things that are long gone. If you use cash, you will not only save money on interest, but you will also reduce the amount you spend. Pay more than the minimum amount for your loans, especially credit cards. Credit card issuers set the minimum payment at approximately 2% of your balance. This reduces the payment smaller but makes paying off the balance almost impossible, so try to add at least $10 to your minimum payment. Look for areas where you can cut back on spending like entertainment, eating out or clothing. Use this money to accelerate your debt payments. Doubling or tripling your payment will help you pay off your debt much faster. The following example illustrates the benefits of paying more than your minimum balance. Assume that you have a credit card balance of $8,000 and your interest rate is 12%. If you pay just the minimum amount of 2% each month, it will take 346 months to pay off the balance and will cost $7,696 in interest. If you pay 5% of your balance each month, it will take 109 months to pay off and will cost you $1,579 in interest. If you are surprised by your current rates, check your credit report. Your report may contain an error that is creating a higher credit score and higher interest rates for you. If you find an error on your credit report, contact the credit bureau to report it. The bureau must respond to your claim within 30 days or remove the incorrect or unverifiable information. You can make your dispute by mail, telephone, or online. If the corrected error results in a higher credit score, contact your creditors to make sure they know about your improved score, and ask for a lower interest rate. If you need more than three years to pay down most of your debt and if cutting expenses won’t realistically help you pay off your debt, contact a reputable debt counselor. The National Foundation of Credit Counseling (nfcc.org)is a good place to start. Paying off your credit card debt is important for two reasons. Doing so eliminates the amount you owe and frees up money to start saving and investing, and it improves your credit score. Available credit (debt-to-income ratio) is one of the largest factors in your credit score. You are a risk if you use almost all of your available credit. The lower your balance is compared with your credit limit, the lower your risk and the better your score. Paying off your balance shows that you are responsible with your debt. You goal should be to have your balance at less than 20% of your credit limit (and then pay it off). Your debt-to-income ratio indicates how much of your income you use to pay debts like credit cards, loans, and mortgages. If you apply for a loan or a credit card, lenders look at this ratio to determine whether you can afford the new debt and whether you present a risk for not paying it off. If you are close to the credit limit with any loan balance, lenders are likely to charge you a much higher interest rate to compensate for their risk. If a lender denies you credit, then you have the right to obtain a free copy of your credit report from the credit bureau used by the lender to make its decision. Add up all of your monthly debt payments. Include car loans, student loans, medical bills, etc. While you are at it, also add the total owed so you know where you stand with your total debt. Do not include utilities. Add up all of your sources of income. Include payroll checks, child support, and additional monthly income. If you are paid hourly or receive regular overtime pay, use an average week and then multiply by four. Divide monthly debt payments by monthly income to determine your debt-to-income ratio. If you calculate your overall debt-to-income ratio, including your mortgage, revolving, and unsecured debts, and it is under 36%, most lenders will consider you to have a healthy debt load. Try to keep your debt-to-income level related to your unsecured (credit cards, car loans) debt below 20%. Maintaining this ratio under 15% will help you qualify for the lowest rates. According to myFico.com, the typical consumer has access to approximately $19,000 on all credit cards combined. The majority of credit card consumers use less than 30% of their total credit card limit. However, over 15% of consumers use 80% or more of their credit card limit. If your debt-to-income ratio is over 35%, you may have trouble getting a conventional mortgage, but you can still get a credit card. This is a good time to pay down your credit card balances to reduce your ratio. If you are anywhere close to using half of your income to make debt payments, chances are that financial trouble is coming. You are probably paying high rates with no real hope for lowering them. You may also be in danger of being hit with devastating default rates. Get serious about paying down your debt before an emergency hits. A good place to begin reducing your debt-to-income ratio is to pay down your credit cards. Creditors view balances close to the credit limit on any card as problematic. If you must carry a balance, try to get it below 20% of your credit limit. The good news is that reducing your debt ratio is one of the fastest ways to boost your credit score. Make paying down your balances a priority. Cut spending where you can or start selling things and use that money to pay down your balances. Credit repair companies are big advertisers and they make climbing out of debt look easy, as if they can just use a magic eraser to wipe away all of your debt issues. Their claims of “credit problems, no problem,” are too good to be true. The only way to repair your credit is to create a personal debt repayment plan, dedicate yourself to it, and give the process some time. Only time, work, and a personal debt repayment plan will improve your credit report. Credible help is available to assist you in putting together a debt management plan. The National Foundation for Credit Counseling (NFCC) is a good place to go for counseling and debt advice. The NFCC provides education on debt and budgeting. The link to their Web site is http://www.nfcc.org. You may call them at 1-800-388-2227 and they will refer you to an accredited NFCC member in your area. Credit card issuers are not content with just making money on the interest payments and fees from your credit card charge. They also promote additional opportunities to increase your debt. Unless you have an extreme emergency, such as someone in your family is about to die if you don’t have cash, avoid both of the following credit card features. According to the Nilson Report, 22.5% of total transaction volume in 2005 for Visa and MasterCard was cash transactions—ATMs, counter payments, paper checks, or electronic interbank payments. Cash advances, with their 3% fees, are expensive. The interest rate for your cash advance loan can be between 20% and 24%, depending on your credit card. If your cash advance is $500, you pay a $60 fee and $120 in interest during the first year. Since issuers apply your monthly payment first to the balance with the lowest rate, if you have a $5,000 balance, you have to pay that off before your payments are applied to your $500 cash advance. Moreover, you are charged interest as soon as you get the cash advance. You can get cash advances at ATMs or as additional cash back at a grocery store. If you must get cash with a purchase, use your debit card instead. Issuers send out convenience checks, typically in sets of three, to their cardholders. Convenience checks are tied to your account and allow you to borrow from your line of credit for purchases or balance transfers. Although they sound good in the promotional letter, there is absolutely no reason to use a convenience check. Using them usually comes with a steep fee—anywhere from 2% to 5% of the amount of the check. Some issuers levy a minimum fee of $3 per convenience check. Since these don’t require a signature for activation, they are also an easy target for theft or abuse. Shred these checks as soon as you get them. Your issuer may advertise a low rate, but it may not be the rate you receive, which is based on your creditworthiness. You could receive a higher rate than what is advertised. Since you can deposit the money into your account, convenience checks also require discipline on your part. If you intend to use the checks for balance transfers, avoid using the money to purchase new furniture, which will only add new debt. Unlike credit cards, convenience checks do not offer purchase protection or extended warranties for purchases. Some offer deferred payments, or no payments for three months. Do not fall for this trap, as the issuer still charges interest during the months that you are not making payments. Bad debt is typically for purchases that you can consume quickly or that lose value the moment you buy them. Spending money on them reduces the amount you are worth and your opportunity for savings. Examples of bad debt include credit card loans, auto loans, and loans for furniture, parties and vacations. Do you really want to borrow money to buy clothes, groceries, or lunch at McDonalds? Not all debt is bad debt. Good debt has the potential to increase your net worth or your cash flow. For example, debt for a mortgage (that you can safely afford), a loan to invest in your business, or an educational loan may be considered good debt. Your home or business may appreciate in value and one day be worth more than the loan. Just don’t borrow more than you can afford. According to a recent Nilson Report, household debt has grown by 147% in the past 10 years while credit card debt has increased by 69%. One of the factors in credit card debt slowing to less than half of household debt is that consumers have borrowed against equity in their homes to pay down credit card balances. The 2005 Census statistics show that almost 20% of all owner-occupied housing units have a home equity loan or a home equity line of credit. However, the mortgage industry crisis in 2007 has made it more difficult for consumers with average or poor credit to get such loans. In the right situation, a home equity line of credit (HELOC) can be a good option for reducing credit card debt. The first thing you should do is review your past experiences with debt. If you chronically have problems paying down your credit card balance, such as going over the limit, being unable to manage your debt, or continuing to add to your balance, then a HELOC may do much more harm than good for you. However, if you have made progress paying down your balance and have a plan to control your spending, then the HELOC may be a good option. The principle behind a HELOC and a home equity loan are the same—get the lowest rate you can, pay it off as soon as the terms allow, and get yourself out of debt to allow yourself to pay cash and avoid using your credit cards again. A HELOC allows you to borrow money using the equity in your house as collateral. It is still a revolving loan, but the advantage is that home equity loans have much lower rates than credit cards. You are still liable for the debt from your credit cards but you are moving it and paying a lower interest rate on it. The best use of a HELOC is to save money on interest payments and then applying that saved money to pay off more of your balance, significantly speeding up the process of paying off debt. Converts your loan from a high interest credit card loan to a loan with a much lower interest rate. If used correctly, it can help you pay down your debt much faster. Shows fewer outstanding loans on your credit report. Depending on your specific situation, you may be allowed to deduct the interest for tax purposes because the debt is secured by your home. A HELOC is debt that you have to pay off. Treat this as a one-time, get-out-of-debt event. If you even suspect that you don’t have the discipline to put away the credit cards, don’t use a HELOC. If you get into deeper financial trouble, or run up more debt, you are putting your home at risk. The loan is based on the value of your home, which is variable. Don’t assume that the value of your home will never decline. The value of equity is just a number on paper until you actually sell your home. If the value of your home drops, so does your equity. Just like a mortgage, a HELOC comes with fees and paperwork. Fees include property appraisal fees, application fees, and closing costs such as attorney fees, title search fees, and mortgage preparation fees. Do not tap into a HELOC to live beyond your means or to purchase travel or leisure products. Use it only for expenses with long-lasting benefits like education, home improvements, or debt reduction. In most cases, there are penalties for paying off the loan early. If you think you will move from your house in less than five years, a HELOC is probably not a good option for you. Depending on your creditworthiness, you may borrow between 75% and 85% of the appraised value of your home through a HELOC, minus the amount you still owe on your first mortgage. For example, assume that the market value of your home is $100,000 and your outstanding mortgage is $30,000. Eighty percent of your home’s value ($100,000 x 80%) is $80,000. Subtract the $30,000 you owe, and $50,000 is the maximum amount you may be able to borrow under a HELOC. Keep in mind that a HELOC is still debt; it just costs you a little less in interest. The goal continues to be to pay down your debt as soon as possible. The less debt you have, the better off you will be. f you have two credit cards, combining the balances onto one card and closing the other seems logical, especially if one card has a lower rate. However, this may actually be a negative action for your credit score. Since debt allocation and debt ratio are major components of your credit score, it is better to have small balances on several cards than a large balance on one card. Your goal should be to have a balance that is less than 20% of your credit limit and pay that off as soon as you can. If there is one thing we learned from the mortgage crisis of 2007, it is that debt has consequences. If used incorrectly, debt can be painful for both the lender and the person with the loan. If you have debt, especially credit card debt, then you have the potential for a credit crisis. The following are ten ways to protect yourself during a credit crisis. Make increasing your credit score a priority. Currently, higher credit scores are needed to get a loan. In 2007, consumers with a FICO credit score of 720 points or higher could expect lower interest rates. The higher your credit score, the lower your interest rate, and the less money you pay for interest payments, so increasing your credit score is very important. Start by getting your free yearly credit report at http://www.annualcreditreport.com. Your report tells you what is being reported about you and allows you to correct any errors and inaccuracies. Pay your bills on time. 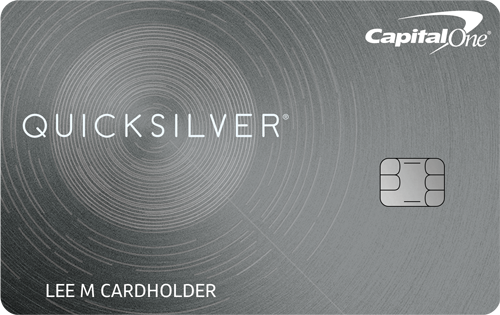 Keep your credit card balances low, under 20% of your limit for each card. Build a history with your accounts; get one or two good credit cards and keep them. Prioritize your expenses. First pay expenses necessary for survival, such as food, housing, and utilities. Call your creditors and ask for a lower rate. If your rate is over 12% and you have a good payment history, call and ask for a lower rate. The number is on the back of your credit card or bill. Tell your issuer that you have been a good customer and would like a lower rate. Make it clear that you have received several offers with lower rates in the mail, that you have researched cards with lower rates online, and that you want a lower rate on your card or you will switch to another card with a lower rate. Ask what they can do to help you. Understand the status of your mortgage and ask for a lower rate. If you have an adjustable rate mortgage, know how it will readjust to protect yourself against a sudden rate increase. If you are in danger of foreclosure or have payment problems, contact your lender to ask for a lower rate. In 2007, after the start of the mortgage problems, Washington Mutual announced that it was refinancing sub-prime loans at discounted rates to help homeowners avoid foreclosure. Mortgage lenders don’t want to end up with unsold homes. Even if you have a good payment history and are not in danger of foreclosure, this may be a good time to call your lender and refinance for a lower rate. If you are in danger of missing a payment, contact your creditors as soon as you realize you have a problem. They may be able to help you work out a payment plan, lower your rate, or lower your monthly payment. It is better business for them to keep you paying your debt and interest payments and avoiding bankruptcy and foreclosure. If you are in financial distress without a plan, contact a credit counselor. Credit counselors advise on general budgeting, foreclosure, bankruptcy, and credit card repayment. They walk you through your household spending budget and suggest ways to cut expenses and pay down your debt. To find a legitimate counselor, contact the National Foundation for Credit Counseling at http://www.nfcc.org, or call 1-800-388-2227. Pay attention to the notices you receive in the mail from your lenders. Credit card issuers and other lenders have the right to change the terms and conditions of your loan; they simply have to mail you a notice. They can increase your interest rate or lower your credit limit. If you are unaware of the changes, you could find an expensive surprise in your monthly bill. Avoid using your credit card for cash advances. Cash advances may be an easy way to get cash in a crunch, but they are extremely expensive. Interest rates on cash advances are between 20% and 25%, and the fee is 3%. If you are close to your credit limit and aren’t paying attention, a cash advance may put you over your limit, which will generate a $39 fee and a red flag on your credit report. If at all possible, avoid tapping into your retirement account. Besides losing the benefits of tax-free growth and providing money for retirement, you have to pay steep fees and taxes if you tap into your retirement fund prematurely. Save for the down payment on your house. The days of 100% interest loans are over. To protect yourself, go back to the old rule of saving 10% for a down payment on a house. This is still a good idea because it is another protective measure to ensure that you can actually afford the house, and it reduces your monthly payment. What happens if you don’t pay your credit card bill? If you do not pay anything on your credit card balance for several months, the credit card issuer will assume that you do not intend to pay at all and they will charge-off your account. A charge-off is an accounting entry that occurs if a credit card account has not been paid (delinquent) for a certain period, typically 180 days. The issuer will remove the account from its books as an asset. After the account is charged off, the outstanding balance is then classified as a loss. This means that the lender has given up hope of collecting on the debt. The lender then sells the debt to a third party, typically a collection agency, who will attempt to collect the debt. Since the collection agency gets to keep the money it collects, it will be very persistent about collecting what is owed. A charge-off is not a magic eraser that simply removes the debt, and it certainly does not free you from paying the debt. After the charge-off, you have to deal with the pressure from a collection agency. Unless you declare bankruptcy, you have to pay something for that debt, plus interest and fees. To make the situation worse, charge-offs are devastating to a credit score. It shows that you have a history of not paying your bills, which means that lenders will give you very high interest rates for any future loans that you apply for, whether a car loan, a home loan, or even a new credit card.